Does Whitening Toothpaste Work For Boulder? Are yellowing teeth getting you down? If so, you are not alone! Some of the most common concerns of Boulder County, Louisville, and Broomfield dental patients pertain to cosmetic dentistry procedures like teeth whitening. Because many dental products such as toothpastes and mouthwashes say they can improve your teeth, it’s natural to examine changing your brand of toothpaste. Whitening toothpastes work by adding chemical agents that can gently polish and whiten teeth. 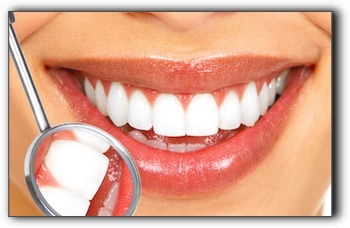 However, these substances can only remove stains that are on the surface of the teeth. This generally results in whitening by roughly one shade. On the other hand, plenty of Lafayette dentists offer rapid in-office teeth whitening procedures that can typically beautify your teeth anywhere from three to eight or more shades. That is quite a difference! Once you see the dramatic changes that can happen with in-office whitening, why not go for the whole smile makeover? Using unprecedented cosmetic dentistry procedures such as veneers, crowns, inlays, braces, dental implants, bonding, and gum contouring, Boulder dentists are helping patients get the outstanding look they desire. Hi, I’m Dr. Gordon West, a Lafayette dentist. If you are looking for quality dental care in the Boulder County, Louisville, or Broomfield area, I hope you’ll give us a call at 720-862-3630. Here at Gordon West DDS, Cosmetic & General Dentistry, we offer sedation dentistry, prepless veneers, dental crowns, and Invisalign clear braces.